Cook County Commissioner Richard Boykin is calling for a "gun violence czar" plan to reduce crime in and around Chicago. 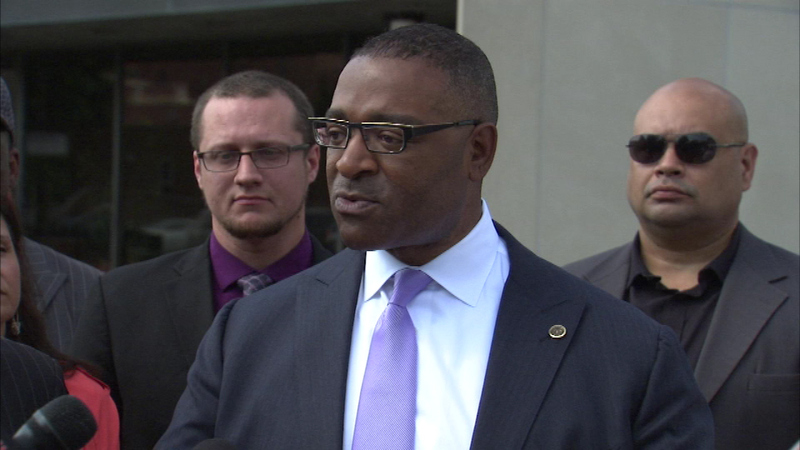 CHICAGO (WLS) -- There will be no U.S. Senate run for Cook County Commissioner Richard Boykin. The Democrat says he wants to focus his attention on the violence and economic issues in Chicago instead. ABC7 political analyst Laura Washington says this gives Andrea Zopp the African American vote over Tammy Duckworth in the democratic primary. Zopp was the keynote speaker Wednesday at a luncheon for the Professional Women's Club of Chicago.